Slow cookers have been in the news lately, but not because January is National Slow Cooking Month. In last week's episode of the popular NBC drama, "This is Us," a faulty slow cooker started a house fire which is presumably how a beloved character dies. Reaction was swift with some fans posting on social media they threw out their slow cookers. Crock-Pot -- the brand name -- reacted by setting up their first Twitter account (@CrockPotCares) to address the issue and assure consumers about the safety of crock-pots. Although I've never watched this particular TV show, I am a fan of crock-pot cooking and have been since the late 1980s. Like any appliance I use, I follow certain safety precautions. I don't use a crock-pot with a damaged cord, cracked insert or if the unit is malfunctioning in any way. When I use my crock-pot, I place it on the counter away from any flammable items. If you like cooking with a crock-pot, here's a tasty recipe for Sweet and Sour Chicken you might want to add to your collection. 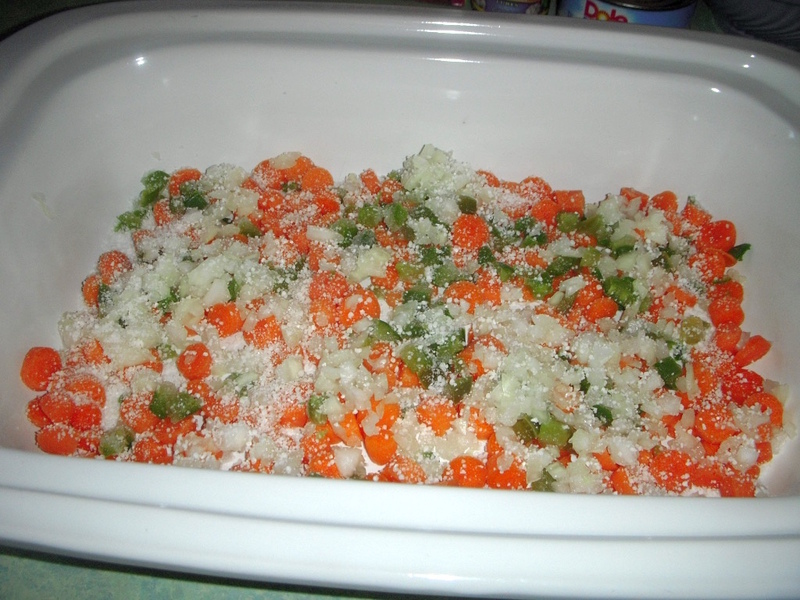 Carrots, green pepper and onion are placed on the bottom of the crock-pot. 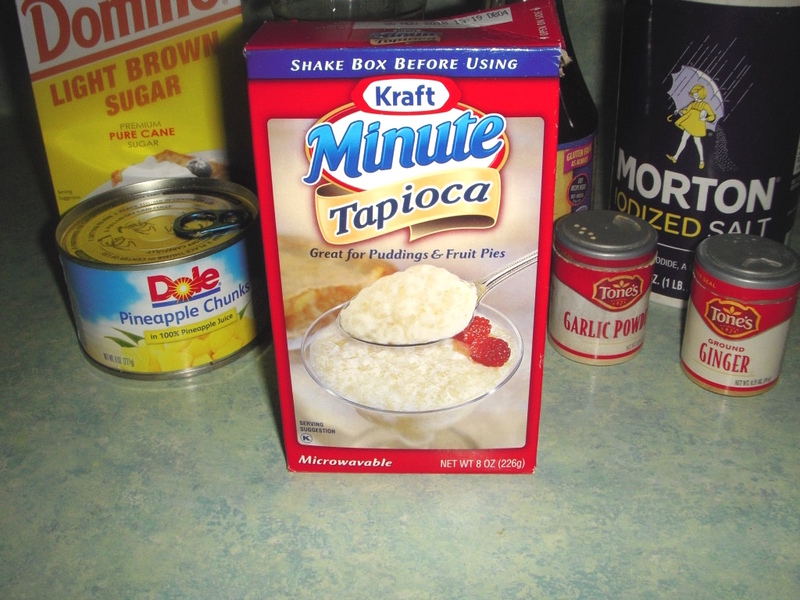 Minute tapioca -- also known as quick cooking and typically found in the grocery near boxes of gelatin -- acts as a thickening agent and is sprinkled over the vegetables. 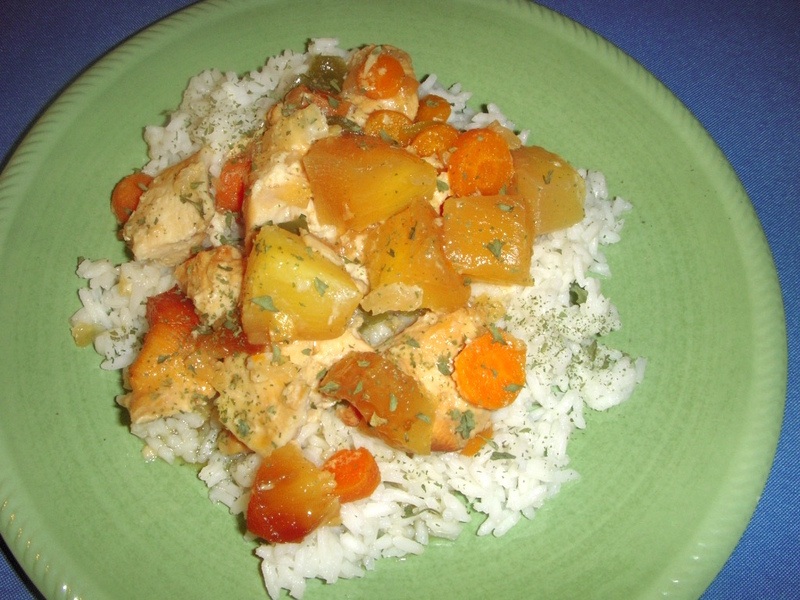 Cubed, boneless, skinless chicken breasts go on top of the tapioca. 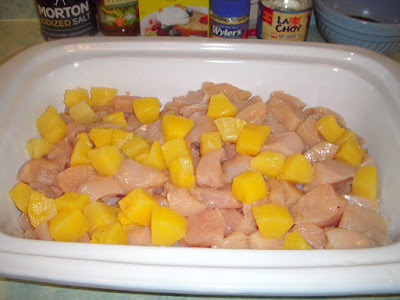 Pineapple chunks go over the chicken. 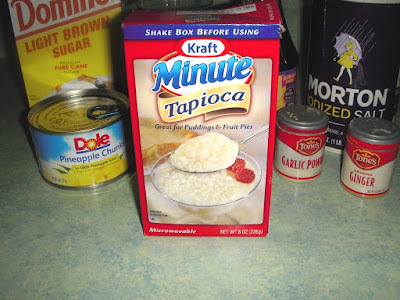 You can add two cans of pineapple, but make sure to discard the juice from the second can. If you don't, you'll end up with a thin sauce. 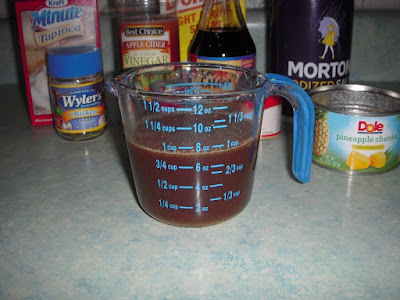 To keep the pineapple from getting mushy, don't stir the mixture until it's done cooking. Combine the remaining ingredients and pour them over the pineapple and chicken. 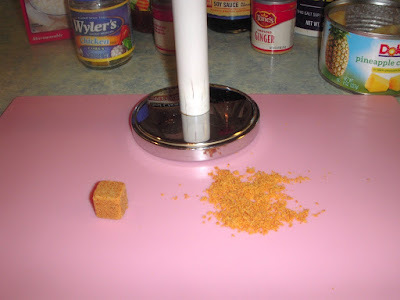 If you don't have instant chicken bouillon, you can crush a chicken bouillon cube and measure out 1/2 teaspoon of the granules. One cube makes approximately 1 teaspoon of granules. In eight to 10 hours, you'll have a ready to eat entree. 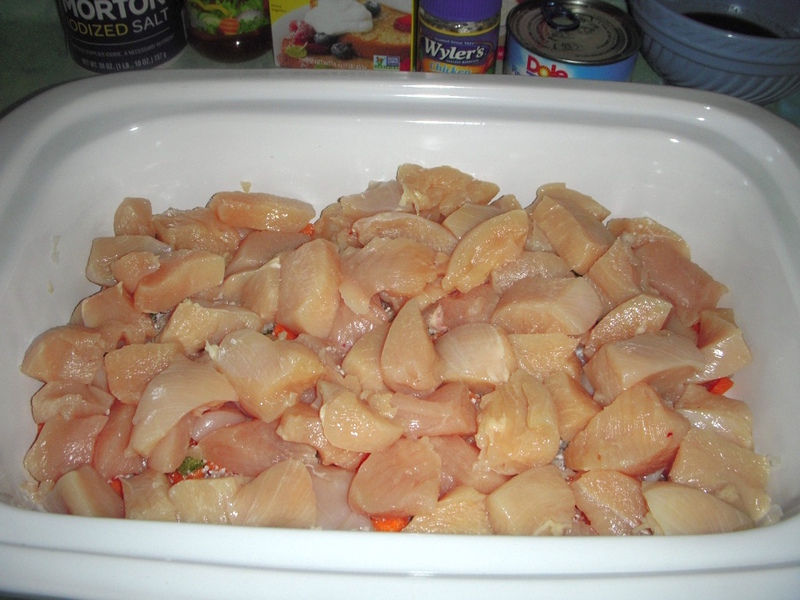 I serve the chicken over white rice with some Broccoli with Lemon on the side to round out the meal. Whether you use your crock-pot for soups, entrees, vegetables, desserts, or something else, remember two final safety precautions. When the food's done cooking, turn off the crock-pot and unplug the cord from the wall. Place vegetables in bottom of crock-pot; sprinkle with tapioca. Add chicken; add pineapple. Combine reserved pineapple juice and remaining ingredients; pour over chicken and pineapple. Do not stir. 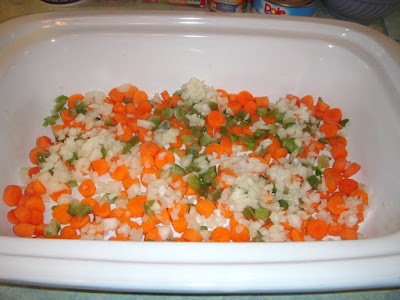 Cover and cook on low 8 to 10 hours. Sounds tasty and easy—a great combination!